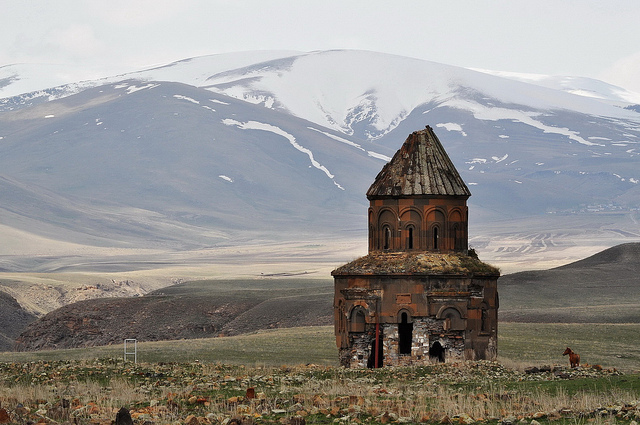 Turkey is a nation of many contrasts, there are the Whirling Dervishes, ornate mosques and bazaars you’d expect but there is also a wealth of undiscovered beauty in places you would never think to look. 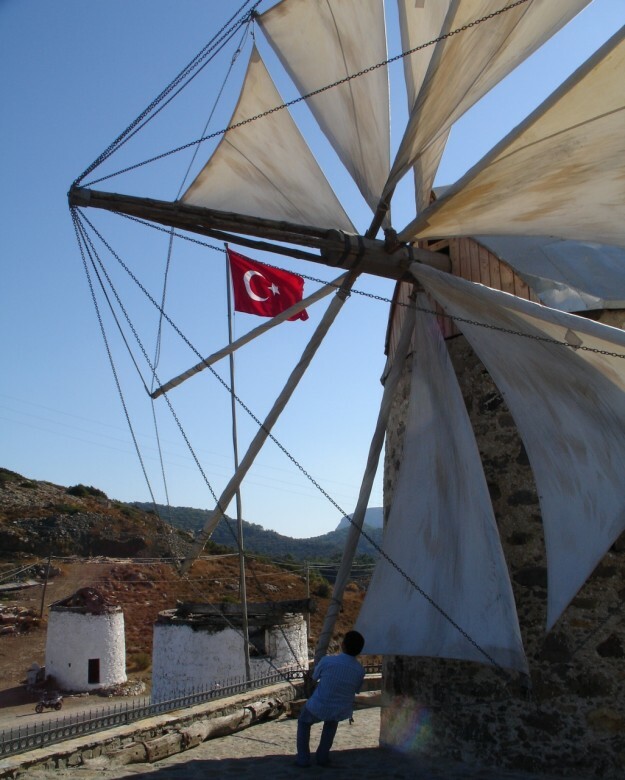 With eight neighbouring countries (including Bulgaria, Georgia and Armenia) and numerous minority cultures within Turkey itself, there is so much to discover from sun-bleached windmills in Bodrum, to a monastery built into a sheer cliff in the Pontic mountains and famed honey from Maçahel bees by the Georgian border. One of the many tempting reasons to visit Turkey is that South Africans don’t need to go into an embassy to apply for a Turkish Visa- 3 clicks and you’ll have an e-Visa that’s valid for a 30-day visit. Sri Lanka, not Turkey, is where one expects to find verdant fields of tea leaves, however in the province of Rize (meaning mountain slopes in Greek) in the eastern part of the Black Sea Region, tea is the livelihood of many people. The beloved Rize tea, drunk in cafés throughout Turkey, is mahogany in colour and traditionally served in slim-waisted glasses with two or three lumps of beet sugar. 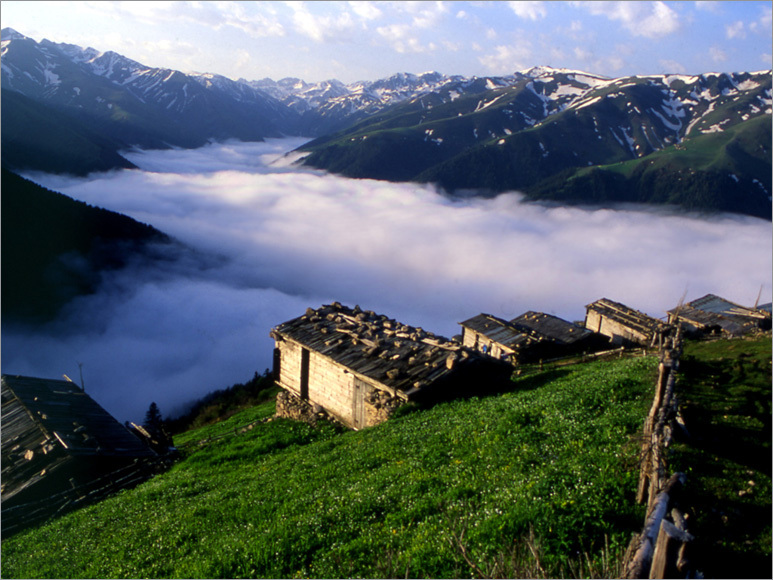 Rize Province is ideal for hiking adventure holidays, venturing into the natural wilderness and getting to know the Laz culture with days spent sipping hot, sweet tea in wooden mountain huts. 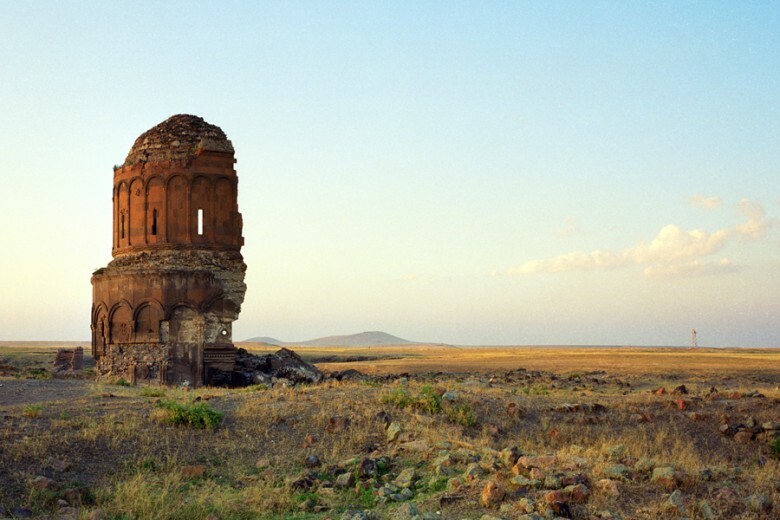 Visit Ani for a truly unusual experience, a striking landscape and a rare insight into the Turkish-Armenian past. 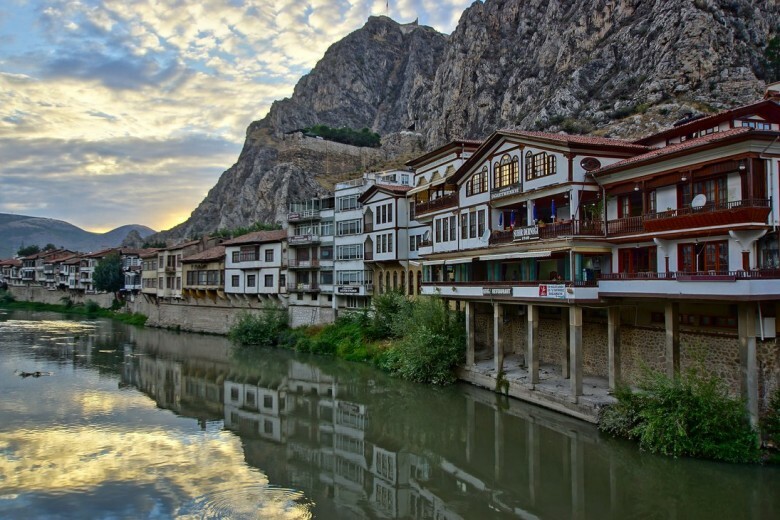 Amasya looks like a city out of the depths of Tolkein’s imagination. Set in the mountains above the Black Sea coast, the rock tombs of the Pontus kings are carved into the cliffs and stand ceremony above the city and the Yeşilırmak river. The typical Ottoman houses (known as Yalıboyu) of painted wood have been restored and are now used as hotels, pubs and restaurants. The city has been the birth place of two Ottoman emperors and therefore carries a rich significance in Turkish culture. 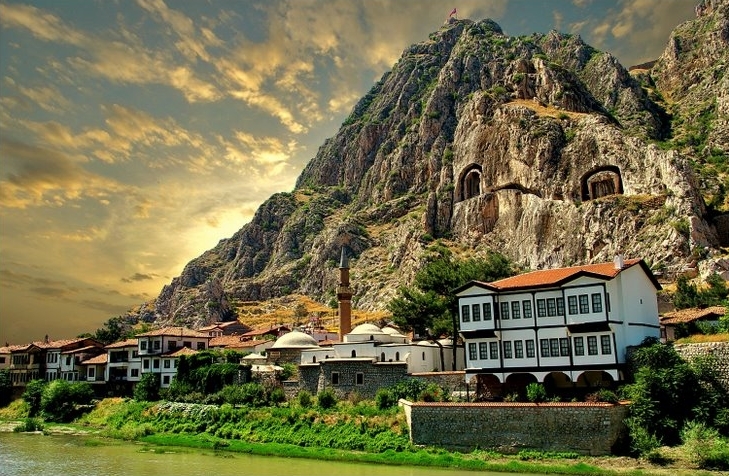 Visit this magnificent city in the tradition of the Ottoman princes. No you’re not in Santorini, these windmills, made of traditional stone sit on the peninsula between the towns of Bodrum and Gumbet, catching the coastal winds. From the 18th century to the 1970’s they were used by the local communities to grind flour. Visit the coastal town of Bodrum for serenity and escape the heaving bazaars and streets of Istanbul. Drink Raki and sit in the sun. The windmills make striking photographs when silhouetted against the evening light. 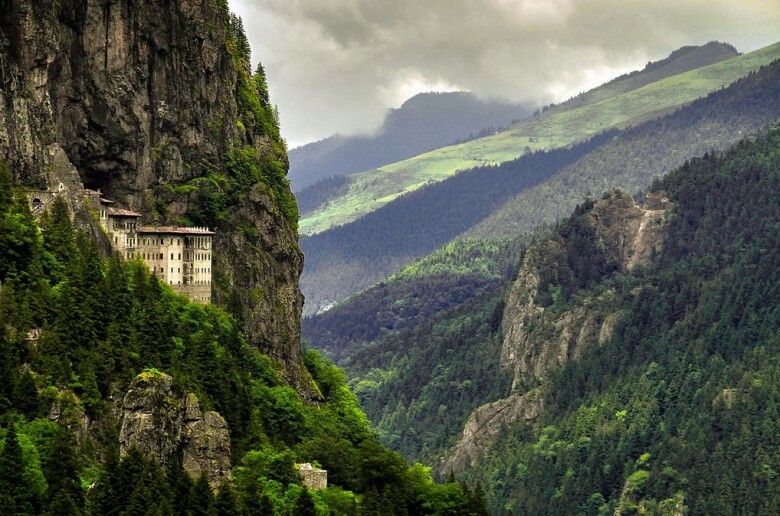 The Sumela Monastery was built into this sheer mountain in 386 AD. According to legend it was constructed in this almost unreachable spot due to two priests discovering a statue of the Black Madonna (typically associated with miracles) in a cave. The priests believed that Saint Luke had sent the Madonna to the cave to inform the priests to build their monastery in this alpine spot. A more cynical view has it that the priests made up this story to garner funding for their monastery. 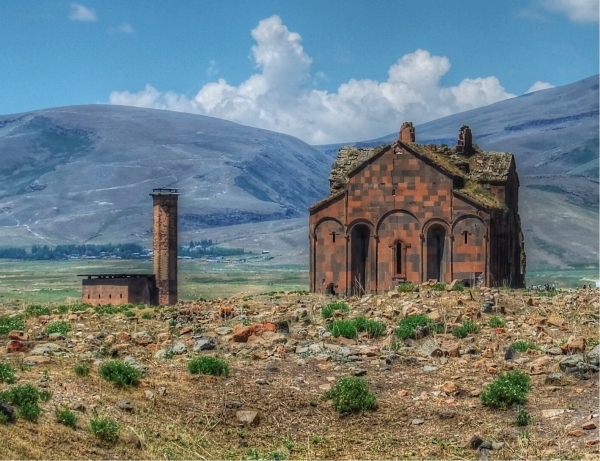 After many centuries, it was finally abandoned in 1923. Sumela monastery is worth a visit for its dramatic setting and exquisite interior frescoes. 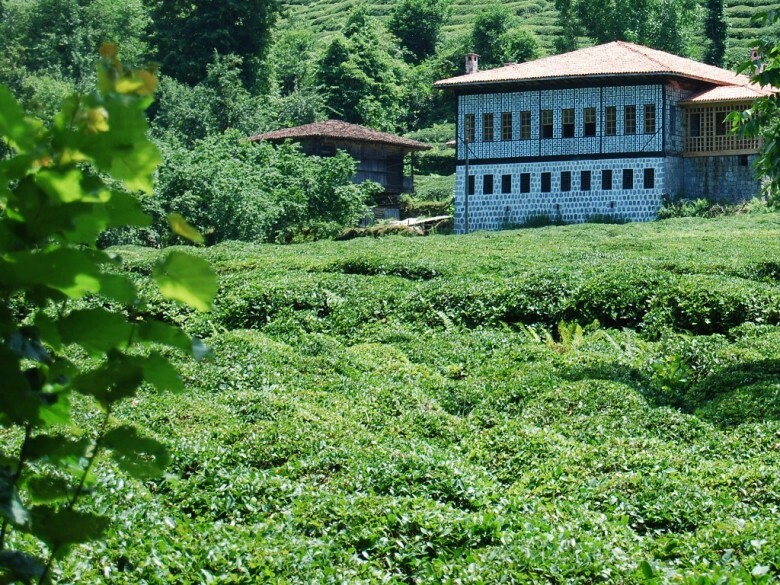 Book a day tour from the nearby city of Trabzon. Don’t forget to bring a bottle of water along (not surprisingly there are many stairs). 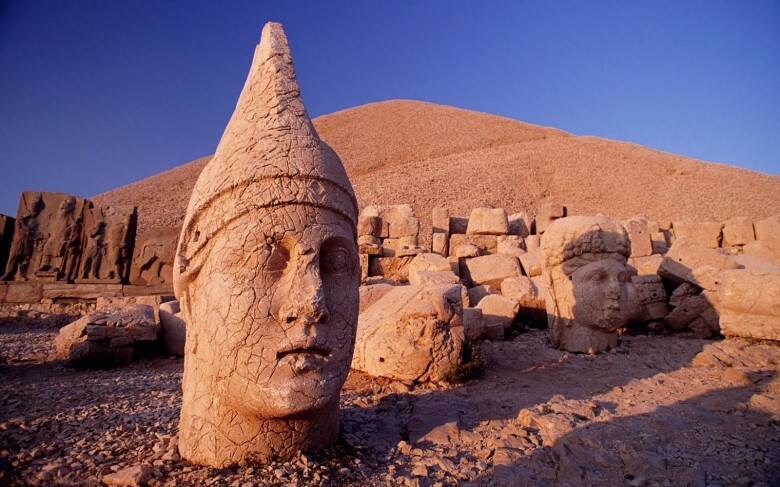 Most of this list is set in the north east of Turkey away from the troubled Syrian border, Mount Nemrut is a must-see but as it is located only 4 hours from the Syrian border it is important to exercise caution and carefully research the current political climate before visiting this part of Turkey. In 62 BC, King Antiochus I Theos of Commagene built a tomb-sanctuary flanked by enormous 9 metre-high statues of himself, two lions, two eagles and various Greek, Armenian, and Iranian gods. There is nothing like seeing ancient sculptures in their natural environment to get an idea of their staggering beauty and scale. 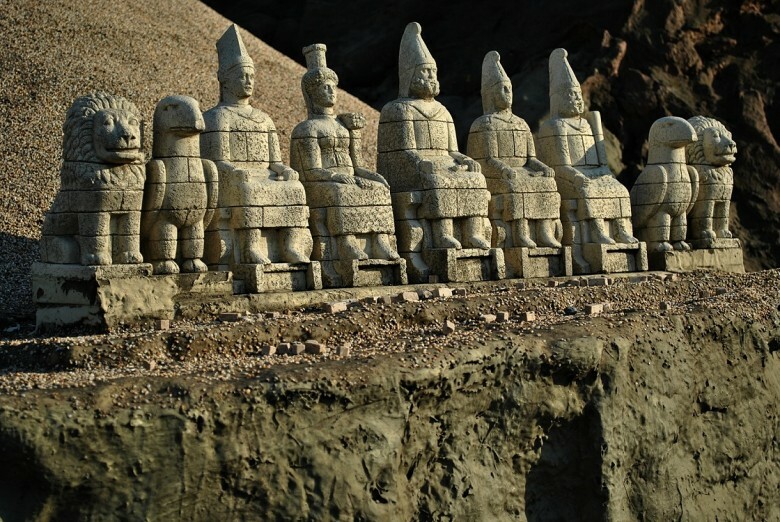 Walk among the ancients at Nemrut. Maçahel is a little-visited region near the Georgian-border of Turkey. 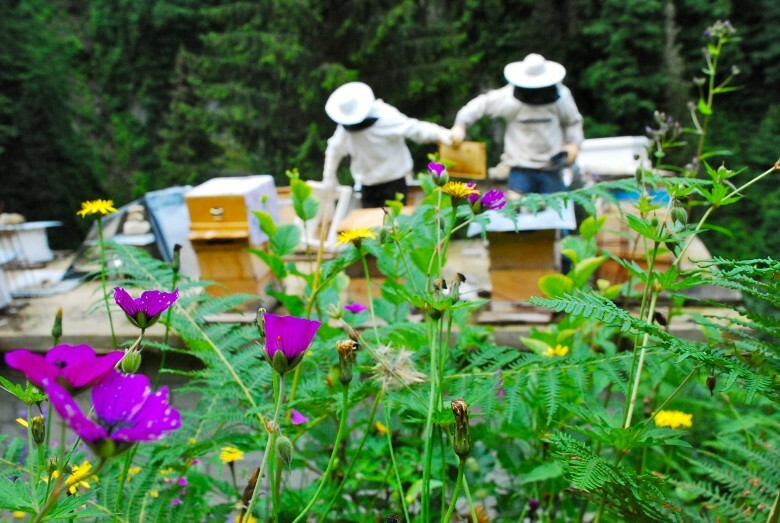 An American Fulbright scholar and National Geographic Young Explorer recently attempted to start a honey-heritage route in northeastern Turkey to provide income for village women in the region. Unfortunately she wasn’t successful, however it is still possible to visit villages where honey is produced, especially Maral in Maçahel Province. 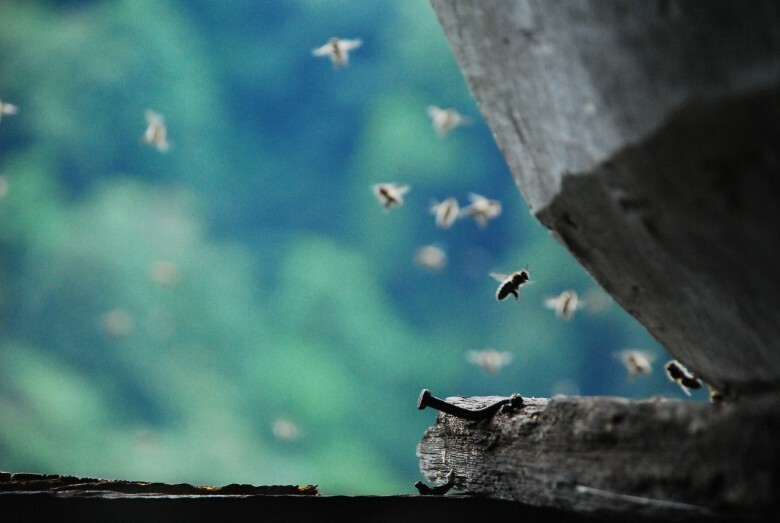 A scientific study has revealed that the Queen bees used in Maçahel honey-making are particularly hard-working and responsible for the high-quality honey produced here. Honey is an integral part of Turkish cuisine and Turkey the world’s 3rd largest honey-producer. For an experience unlike any other it is possible to stay in a small pension in the Maçahel valley if you bring a Turkish/Georgian interpreter along, otherwise it is best to organise with a tour company in Istanbul. Follow any of these adventurous routes in Turkey and you will have had an irreplaceable, singular experience. 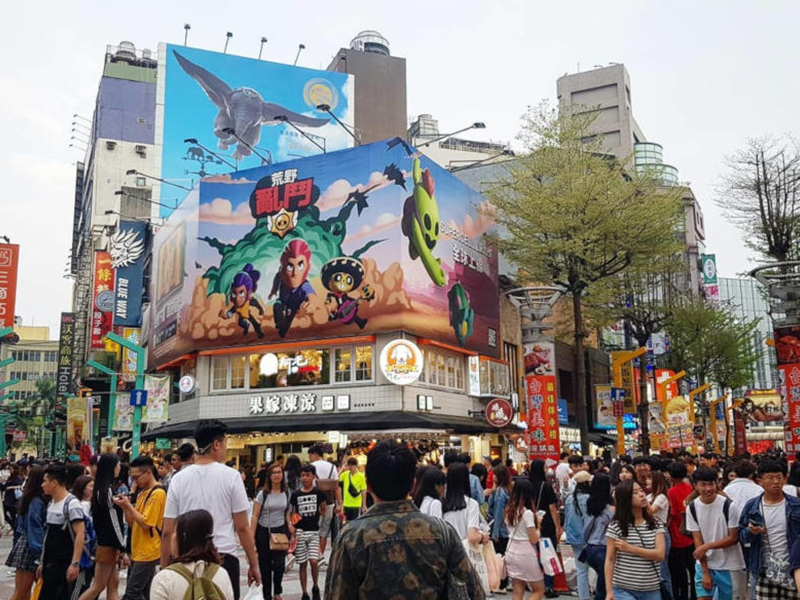 Have you been to any of these far out locales? Let us know in the comments below. Thank you for your interesting article and colourful photos! I wont visit Turkey because they do not acknowledge the Armenian genocide, they are similar to Isis, their presidents stance against Isreal is another reason for this. If you looking for a package tour to Turkey we have a group of Travel Experts that would love to assist with a quote. You welcome to contact our direct sales team on: travelbar@travelstart.com where a consultant will e-mail a quote within 2 working days. Please provide all information exact dates of travel, number of passengers, what exactly you looking for and budget. Thanks for the great feedback! We happy to hear that you got all the info needed from our blog. Really puts a smile on our face knowing our hard work has paid off. Happy travels in Turkey. You going to have a fabulous time. So many incredible places to explore. We have been to a few places in Turkey. Please advise what time of the year will be best to visit the above. Is it recommended to arrange for accommodation before hand or will you suggest to go and then find accommodation. Waiting your reply. Summer: (mid-June, July, August, through mid-September) is quite hot. 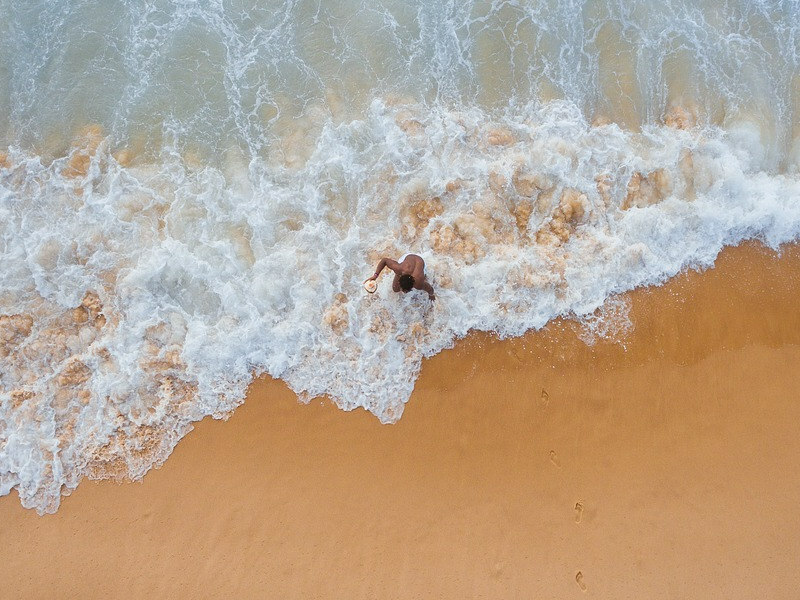 Seaside resorts are crowded and prices are at their peak, but the cities are less so—Istanbul is a bargain, with smaller crowds and shorter lines for admission to sights. Cappadocia is cheaper and more comfortable as well. 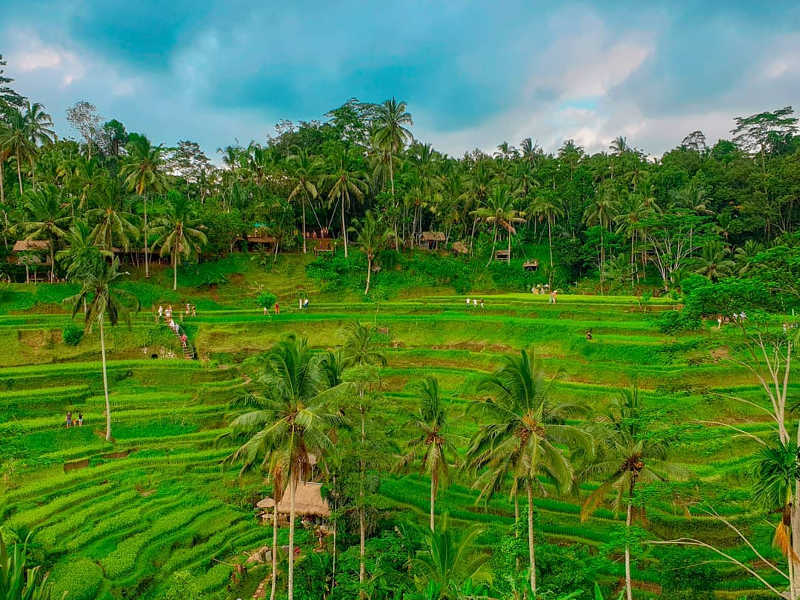 Winter: (November, December, January, February, March) can be chill and rainy, with occasional cold but sunny days, everywhere except the southeast, which remains temperate, but lower prices and fewer tourists are compensations. Have been to all of the above places and they are all well worth visiting, Turkey truely is one of the most amazing countries ever and has so much to see and do. So true. Turkey is such a beautiful country with so many amazing places to explore.